E Ray Bateman is a former General Authority of The Church of Jesus Christ of Latter-day Saints and member of the Second Quorum of [Seventy]. He served from 1998 to 2004. He was serving as president of the California Carlsbad Mission at the time of his call. 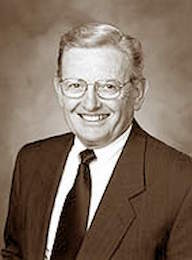 Bateman was born on October 20, 1937, in Sandy, Utah. He attended Brigham Young University before serving in the Canadian Mission and then finished his education at the University of Utah. After he married Mira Dorene Odette, they moved to the San Fernando Valley in California where he worked in sales with the Bristol-Myers Squibb Company for thirty-two years. They are the parents of five children. He has served in the Church as a Sunday School teacher, bishop, multiregion welfare director, stake mission president, and high councilor. This page was last edited on 2 June 2017, at 16:29.